Come join the Addams Family for the most hilarious scarefest of them all! 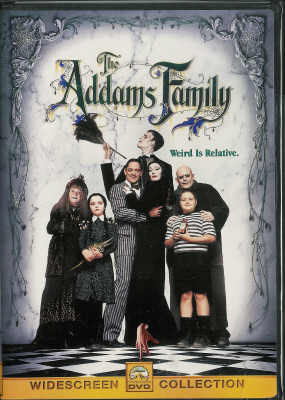 When long-lost Uncle Fester (Christopher Lloyd) reappears after 25 years in the Bermuda Triangle, Gomez (Raul Julia) and Morticia (Anjelica Huston) plan a celebration to wake the dead. Directed by Barry Sonnenfeld.